This is an International USERS GROUP of Titan Slaying, War Mongering, Loot Pillaging, Rage Raiding Empires & Puzzles Addicts! Join in our Glory & Knowledge! Well, so long as we have a higher trophy count! We, the FEW, are here to help the MANY. We ask for nothing in return. "No amount of ability is of the slightest avail without honor." Appears higher overall classed teams clearly have more choice in team makeup compared to old standards prior to classing (makes sense). Data Collection started on 4-16 2:30p and ended on 4-17 4:30a. A 14 hour period, the longest to date in terms of continuous monitoring/collecting. Being this was the longest period between collections, I was interested to see what if anything had changed, and plenty changed. Player Level, Troop Level nor Troop Type appears to have much if any relation/influence on Cups. Nor does cross referencing them for some type of relationship provide any logical information. I will likely drop the Troop recording process and find something more interesting to present you with! What is clear is there is 2/3 preference toward Mana Troops. It is also clear that classing has a very visible effect on hero performance. I had a revive occur 5 times in a row on a remaining 1 on 1 in which my hopes for a win dwindled each revive! I won out, but man... talk about some crazy odds hitting that many in a row. This is a clear testament of the POWER of Talents! LEADING ELEMENT: FIRE continues to be the most used element and NATURE the least. *Measuring min range as there are a good amount of stacked element teams. Troops for most players, currently have high degrees of maturity variation levels. ALBY & MOTHER NORTH Double Team! Alberich and Mother North prove they control the Wing, LEFT WING specifically! Gravy loses another #1 overall position advantage a second period in a row! Gravemaker hangs onto a 16% share in the overall position. Alby & Mother take 34% of it and split it down the middle at 17% each. AEGIR #2 TANK... NO! NO! NO! It is solidified that Aegir is not here @ #3 due to testing 'balancing' improvements! Kunchen smashes his way into the #2 position! These 2 combined come in at 28% rivaling Guins 29% while Gravy slips to 7%. THE ULTIMATES: The Downward Spiral! Sartana is completely off the board! Not even in the Top 20... She is a fighter - I wouldn't EVER count her out! I chose to 4th Ascension her over Kunchen - purely out of respect. Pure Badass! C'mon Sarz! Zeline? I didn't think she would drop this soon... setting her lowest use of 24% still strong - just not Top-5 strong. Who sneaks back in by a hair... Alasie! It used to be that the Top-5 were double the use of the Contenders - Now the Top-10 are pretty much neck and neck. Guinevere sets her all-time low usage @ 29% (in the Top-100 teams). Gravemaker has clearly settled into their primary position: Flank (holding easily by a double margin over the next in line Zeline 36% vs 17%). Hero Duplication has dropped significantly. 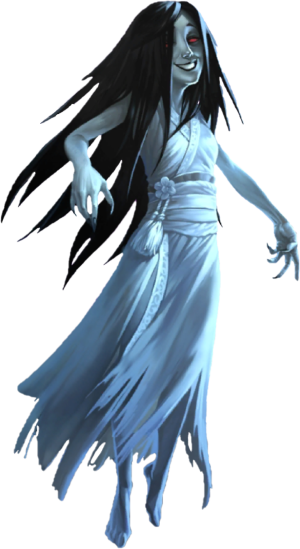 Ariel, Delilah, Mother North and Hel were the highest classed at level 6 for Legends (a single instance each). Rigard was the Highest Classed at level 8 for Epics. Not seeing the distance between leveling 5* vs 4* expected (this is LEADERBOARD data however). Atomos is nowhere to be found. Appears Kunchen is preferred over Onatel for Tank. Not really a surprise. The 2 do like to travel together often sited side by side. This is my informative replacement to the discontinuation of Troop collection, see that section for why. GRAVEMAKER remains the undisputed "KING of the HILL" for 28 collection periods Running (dating back to 8/7/2018). Now, Gravemaker is double the use of any hero in the game except Guin. Lost the #2 TANK position last collection peirod, Lost the #1 Wing position this period and their use per team RISES? WTF? #1 Gravemaker in 57 of the Top-100 teams; same spot, up 5 uses, 2 duplicate uses. #3 Alasie in 25 of the Top-100 teams; up 3 spots, same use, 1 duplicate use. Back in the Top! #4 Kunchen in 25 of the Top-100 teams; up 8 spots, up 13 uses. The 4th to break into the Top-5. #4 Kageburado in 26 of the Top-100 teams; up 1 spot, up 4 uses. Kunchen made his presence known to THE ULTIMATES for the first time this period. IN A TIE WITH KAGE! Zimkitha made her first appearance in THE ULTIMATES last period, at the highest ranking of an 'outsider' @28% 03/24/2019. Drake Fong made an appearance in THE ULTIMATES 01/30/2019. Kageburado made his presence known to THE ULTIMATES on 02/16/2019 and this period is 3 in a row. #7 Zimkitha in 22 of the Top-100 teams; down 4 spots (tie with Drake), down 6 uses. #7 Drake Fong in 22 of the Top-100 teams; up 1 spot (tie with Zim), up 3 uses. #9 Mother North in 19 of the Top-100 teams; up 6 spots, up 9 uses. #10 Magni in 18 of the Top-100 teams; down 3 spots, down 6 uses. Alberich moved to the top of the RISING, just 1 use shy of Magni in the Contenders. #11 Alberich in 17 of the Top-100 teams; up 13 spots, up 10 uses. Now that is a jump? Evelyn/Lianna struggle I suspect. #12 Aegir in 15 of the Top-100 teams; same spot, up 3 uses. #13 Evelyn in 14 of the Top-100 teams; down 2 spots, up 1 use. #14 Delilah in 12 of the Top-100 teams; up 1 spot, up 2 uses. #15 Onatel in 11 of the Top-100 teams; down 5 spots, down 2 uses. EPICS THAT CAME OUT TO PLAY! Last period included Rigard, Boldtusk. No change. UCLAPACK E&Ps TOP DOG in the T.M.U.G. Top-100 Cumulative Appearances moves up to a Whopping Player Level 81 and has 17 Appearances Cumulative. She takes 2 steps forward from the PACK and doesn't appear to give a S#8T about looking back. Word on the street is she and the fox are making plans with a Dark Knight! 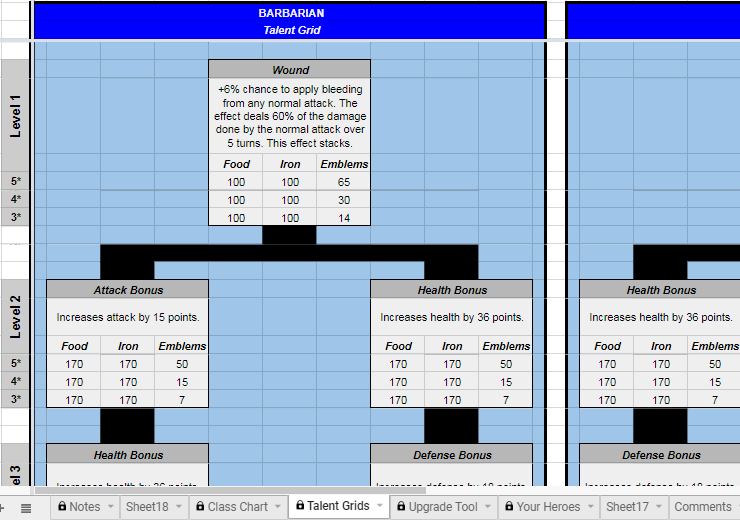 The utility that brings your Empires & Puzzles Hero Card Data, Hero Grades, Hero GPA's and Hero LEADERBOARD Statistics into your browser ALL at once! 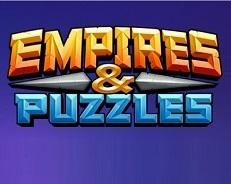 Access the Empires & Puzzles 'Hero Utility' below! The image also represents the TOP LEADERBOARD TEAM dating back to the first data sample on 7/29/2018 in their rightful positions. Other than shifting positions between each other (primarily the ladies) there have been very few noteworthy challenges to date. Well until Recently! What is this Users Group For? This is the TOON of the Moment. Come back later for a new one! Challenge Event Heroes are getting leveled! What about that Bear? The Members Avatars now include the HOTM & Atlantis Newbies! COOL! Check them out! I am HAPPY - see this smile! I can make you have one too... PERMANENTLY! 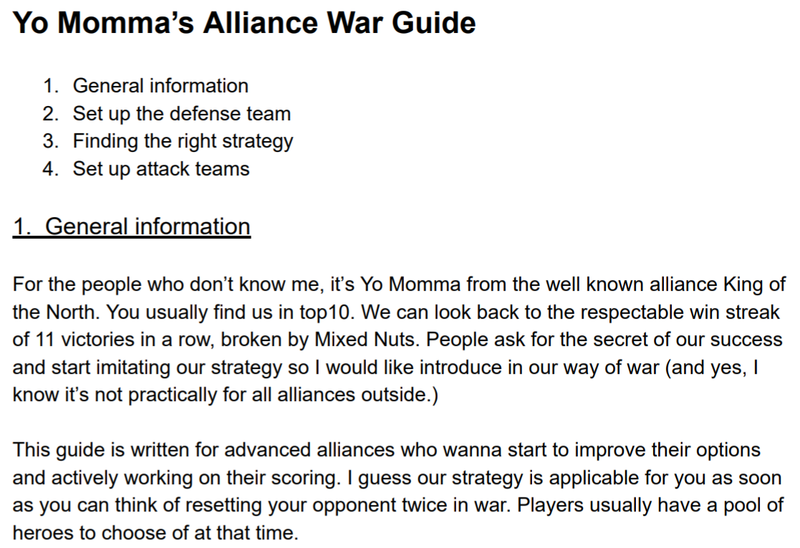 This guide is written for advanced alliances who wanna start to improve their options and actively working on their scoring. A sample excerpt is provided below. Please click on the image to be directed to the hosting site. Just look at some ole' favorites reborn (yes these are mine). BAD A#$ TUSK (cls 4) and KILLER GRIMM (cls 7). Look at their new talents in particular, their power (you knew this increased as well right? ), attack, defense and health (I'm more concerned with getting the later 2 up for staying power) - click their pretty faces for a review. I understand waiting to see what happens... it's already happened. Funny in a sense just yesterday I was talking to a really good player who said they don't do the class quests, they aren't class leveling and have no plans to! I said "then you’re going to be in deep s#+@ in a couple months! You may as well pack up your account and go on a permanent E&P vacation." Some are weary to pull the Trigger... WHY? See the H.P.E.T. 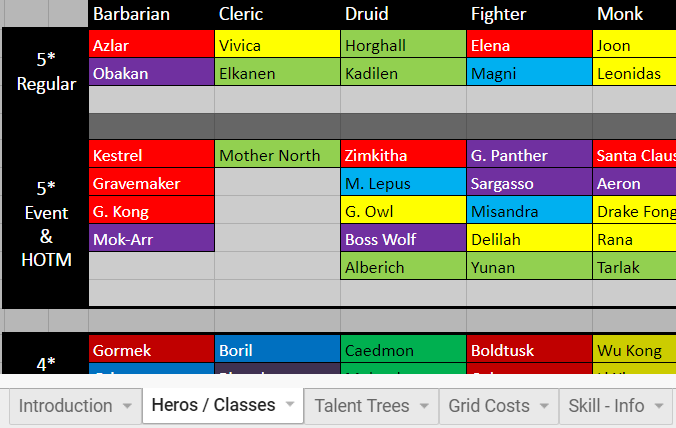 Report v3 for this Period in Review (2/17-3/6) and see what % of Top Players haven't Class Leveled. Should you Level EPIC's? Obviously if you’re an EPIC or newer player the answer is YES! I'm well into a LEGEND bench and I DID. Great new life into both these fellas and they did some wonders in the last WAR (3/6/19). 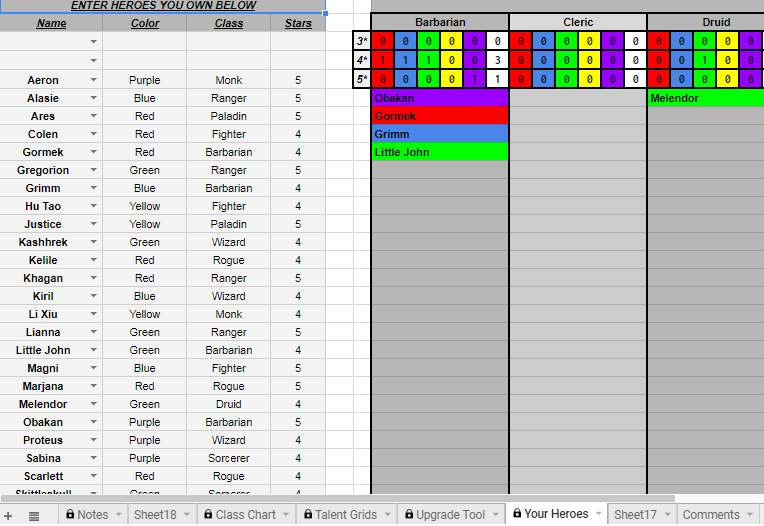 I would advise you Class 1 level every hero you use on a very regular basis. You would be surprised how often a 3-6% chance goes off. Now do I use these guys on a very regular basis, no. I'm interested in the 'find out myself' approach (and already they are turning into something more valuable than I thought). 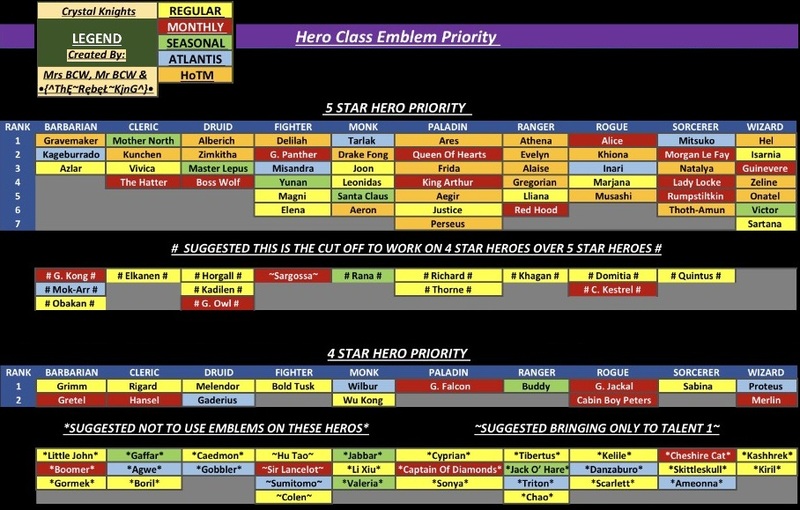 Crystal Knights leadership put some thought into the process of identifying which Heroes were worthy of Hero Class emblems. The following file (click image to open) was the final suggestions they provided to the rest of their team mates. You can thank MrsBCW for providing the resulting file of their efforts to share with you. MrBCW, the The Rebel King & MrsBCW were contributors. This is the official Empires & Puzzles Release notes for the new version. Kamikaze Assassin’s E&P Classes This link was provided to me. The contents were assembled by Kamikaze Assassin of Crystal Palace. Thanks for your efforts in putting this together and making it available! A very special thanks for attending and becoming the Q&A target @ the unofficial Classes/Talents short notice TM Members Chat. This link was provided to me. The contents were assembled by Rilf the Leader of Seven Days Hunting. 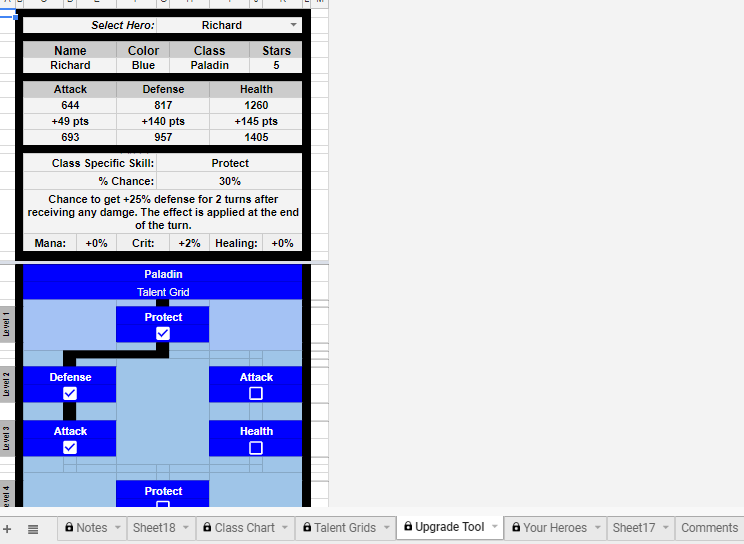 I'm including samples of the spreadsheet that will be of great interest to any player. Rilf we appreciate your work on this, thank you! 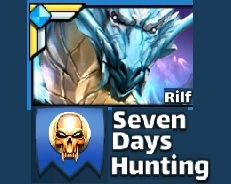 2 new event Heroes and a new Hero of the Month! How do they stack up? To each other, their Rarity and Overall? Ap & Dh - what do you say? Sign into the Members Area to Access. Your Online Challenge Event Database! There are 24 Season 2 Heroes. With the addition of Poseidon to the ATLANTIS FAMILY - We now have a complete SET! Family Link's power is unique to the Season 2 Atlantis Heroes! Following are the Numbers - it looks to be square and complete! - The ATLANTIS FAMILY now has 8 and a GOD at that! This quick Reference is large enough that you can see the thumb nail Hero pics and clearly identify who the 5/4/3 stars are and their Element. I ordered the Family's Heroes by Rarity then alphabetically by their name. You can click the image to enlarge it/save it. It is kind of secret still... and there are many more than One! That's right! Well those that kept up their end know who you are. Many didn't believe me... and still will not. It's all GOoD! It will be interesting to watch who takes it. Because this F.U.N. is going to get WiCkEd! Wickedly entertaining! I welcome you! In addition to you taking an active role (if you want to) in working with me to build out the MEMBERS AREA for 'fun' Empires & Puzzles themed events, you also get to participate in these events for prizes and recognition! 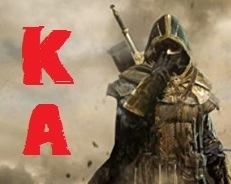 I think it can become a very positive addition to our gaming life. Your patience is appreciated as the Members Area is definitely 'UNDER CONSTRUCTION'. Please be proactive in entering feedback or suggestions when you have them. If it appears something is not right or suspecious please take a moment and notify me. 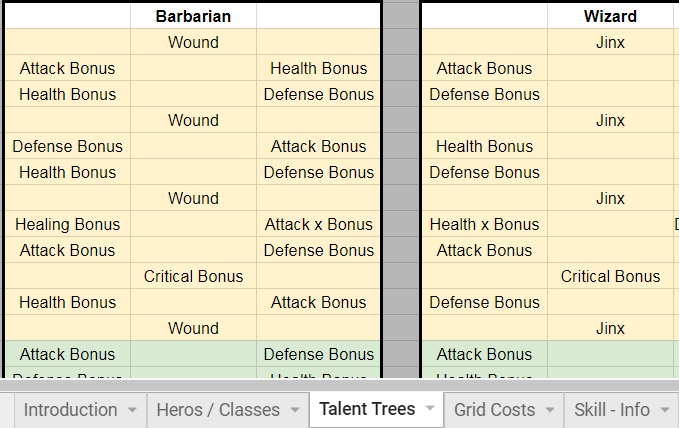 15 Heroes Special Skills have been 'Balanced'! “Wanted Monsters Missions. Best way to zoom through this is Season One 7.4. “Hero Grading. Compare 5s against 5s, 4s against 4s. Never assume a 4*A is better than a 5*B. Exceptions are a 4* A could be more effective than a 5* C/B- (They sure don't live longer though). A Fully ascended 4* can be stronger than a full 3rd ascension 5* (not always). Point here – ascension items for 4s are a walk in the park compared to 5*s... so be wise!" 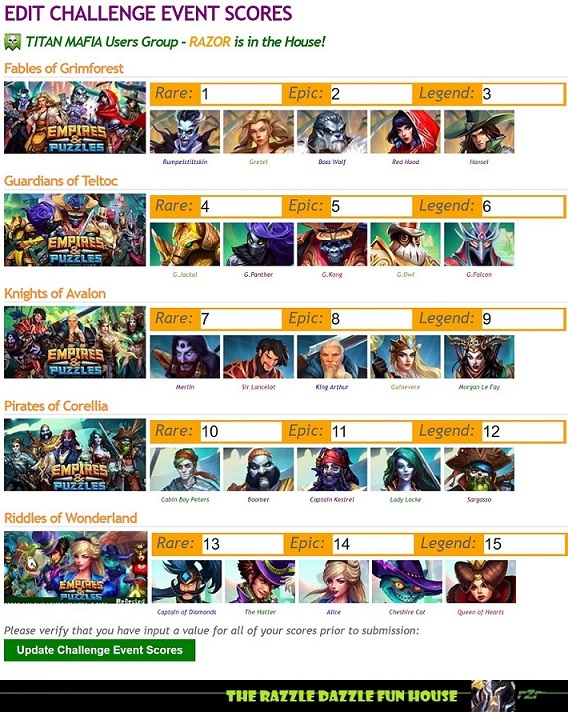 "Select your desired heroes to obtain their card data, grades, gpa's and LEADERBOARD ranks. Just click the image below for access! Brought to you by RaZoR @ EnPHero.com"
What Level do Mana Troops have to be at to decrease Mana activation times? What is the variance between Regular Tiles vs. Ghost Tiles? Talents are not adressed in this definition. The perfect visual for Troop Levels and Max abilities! A must have for those of us who have too much to remember already! 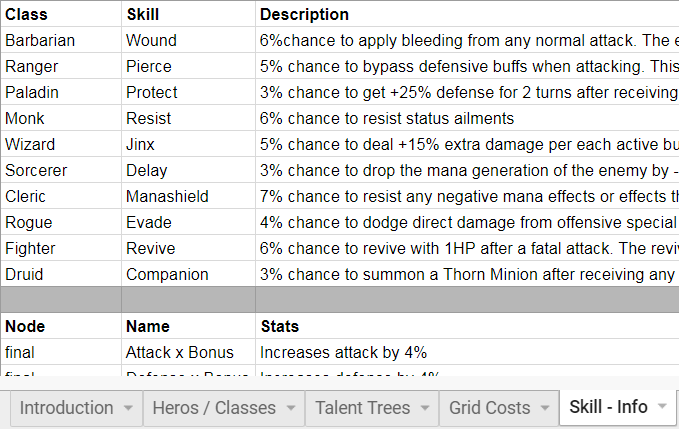 ...of the 16.7% cost variance when feeding heroes of the off element. Now stop reading if you don't want to get bummed out for a a few minutes. 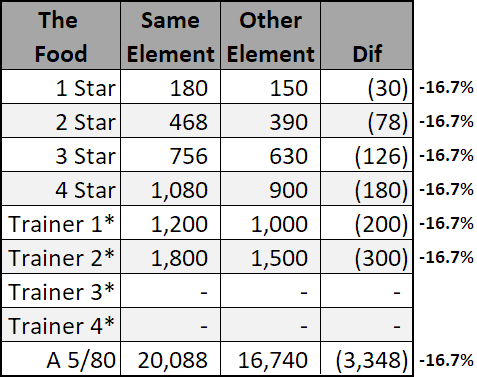 It's also a reminder of How lousy the return is on just about everything above a 2* off element or on - when you consider ALL methods required to obtain them. Not just ham, troops & materials. What did it cost you to obtain those!? How much TIME did it cost to obtain those? The waiting time, phone time, the actual on the board time, every scenario in which you are attacking (raid, titan, war, quest, events, etc.) these are rarely in the cost charts. Time in my opinion is the most expensive of them all. So be aware how you spend it playing our FAVORITE game! BEWARE: 'ANY' member falsifying friendly competition data will be removed from the User Group promptly. If you're inputing figures based on memory - don't. Proof is Required for Prizes. The member that submits the suggested idea that gets implimented via the Members Lounge Feedback form (large or small) gets the LOOT! The TITAN of TOON 2! An awesome 'Gaming' Crate is up for grabs! All licensed 1 of a kind merchandise! See the Members Lobby for details on the event - your crate selection can be from any category. Ships Internationally. Following is a history of the Titan Mafia Member Events and the associated Winners. Members could submit as many TOONS (digital E&P related images). Having screenshot & cut/paste skills assited the key - a witty title or verbage the artists :) considered laughable (all that was truly required)! The fellas were presented 3 options and they chose to split the LOOT - I upped it to $25/ea. Any member who submitted Feedback suggestions or ideas that got implimented became the winner! For his idea to integrate a 3rd party Chat platform into the Users Group, as opposed to me continuing to develop my own. Members could submit as many JOKES (made up or existing using related E&P related material). No limit on the number of submissions. Knock knock. Who's there? Thorne. Thorne who? Exactly. The Perks will be Deep! This 1-Time Opportunity will be provided as an Invitation by RaZoR to the Candidates (30). 5 positions are reserved for applications from TM Users Group. ...is deserving of you players that contribute to making me & the 'Hero Utility' better! Thanks for being my Rock & Sounding Board. A Friend & one of my Greatest Supporters. 4) Passing by (open group) be some random hero walking in and out of their camp - idk to let go of a fudge dragon, ask which way is North, just say hi, or just park there and don't say anything no matter what! The BLAZERS I feel are worth my time. I'll be back eventually to write about them as a team and their individuality with in it. An NO, there will be no 'SECRETS' revealed. What's done in the House stays in the House." "Everyone has a need for a COMPACT VISUAL HERO LISTING that is updated regularly! Athena & Natayla are back... I have 2 Athena already. By no means is this the extent of my Summoning attempts, I wish! "The perfect visual to recall the Ascension Items for Max Tier (Epic & Legendary)! Polling Events I've put together are LEGENDARY! Look forward to the next one when I have some time gang! The MEN of E&P have challenged each other for an opportunity to claim the CROWN!. 12/07 The KING was Announced - and shall REIGN til Dec 2019! GUINEVERE IS #1 - RIGHT? Challenge Events are held monthly. During an event is your only opportunity to obtain the associated special heroes via the 'EVENT SUMMON'. While available your summoning odds increase as you can land a HOTM, a Legendary hero as well as the Special Event Heroes! So these are definitely worth saving your gems for. First - be stocked up on battle items if you want any chance to place in the top 4 ranking reward categories (and I mean stocked up). Otherwise, settle on just completing it with what you have. You will need something to help get you through the last level or two. Second - this should be very obvious. DO NOT bring a hero in that matches the events reflect element - unless you have no other choice! There is that rare case where one is such a great strategist that they can do so. Fourth - this applies to the few - having a deep bench of fully or near fully ascended 4 and 5 star heroes of the opposing element (to the events reflect element) gives you the best odds of landing on the visible leader board! Honestly - any element other than the reflect element if you have the deep bench - the idea here is maximum damage! Logic will assist you after reviewing the map above. with some of my playlists! This site was established on 07/30/2018. It is maintained by me - RaZoR. I reserve the right to remove any 'member' from the USERS GROUP at any time (given reason). Source Data obtained by 1 or more Empires & Puzzles Top 100 LEADERBOARD Teams Data Extraction(s) and/or RAZOR's EDge System Build for use in the ''Hero Utility' and 'Anchor’s Complete Guide to Hero Grades' which "was created by some of the best players of Empires & Puzzles who have personally used these heroes to stay atop the leaderboard" and/or the assignment of Hero Utility GPA's to Anchor's Grades at import. Comments by RaZoR do not represent fact nor do they represent Small Giant Games. They are however based on the data sited and his personal experience with the Hero(s) during game play. Additional sources for the data may include comments/experience obtained by other players through the games Global Chat rooms, the alliances he has been part of, player communications in the Empires & Puzzles Community Forum, posts by Empires & Puzzles Staff Members in the Forum, the Empires & Puzzles Official Announcements, and the Official Face Book Account of Empires & Puzzles.